This lovely home is tastefully furnished, very well equipped, offers Ocean Views, & is within easy walking distance of the Beach (approx. 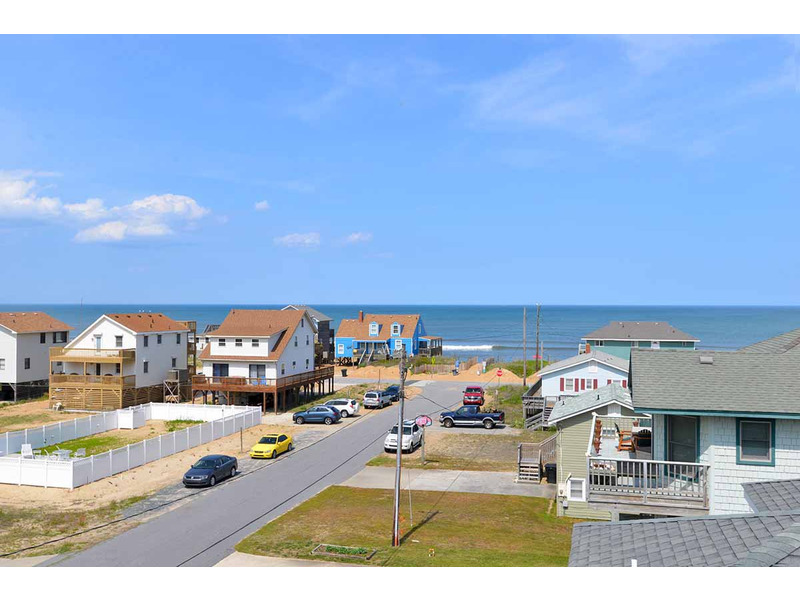 350 ft. to Beach w/Direct Access). Thoughtfully designed w/ many features designed to meet your vacation needs. This lovely home is tastefully furnished, very well equipped, offers Ocean Views, & is within easy walking distance of the Beach (approx. 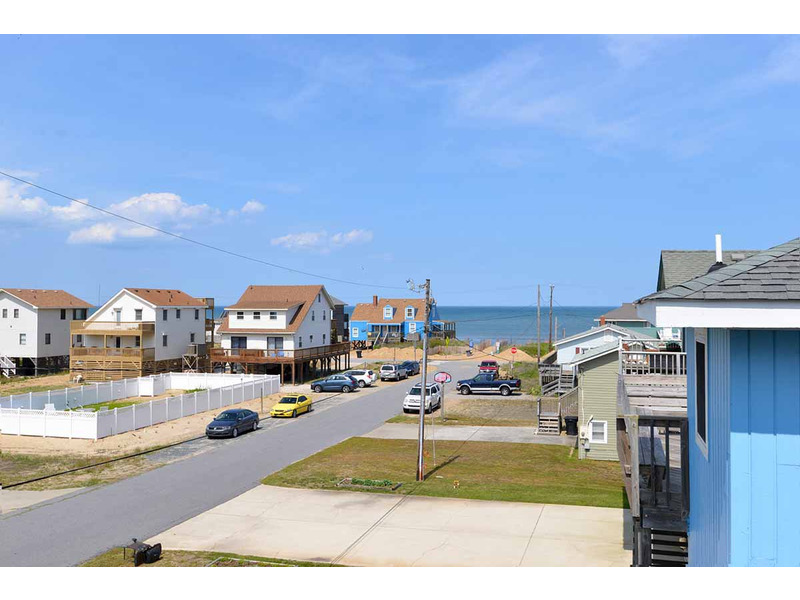 350 ft. to Beach w/Direct Access). Thoughtfully designed w/ many features designed to meet your vacation needs. 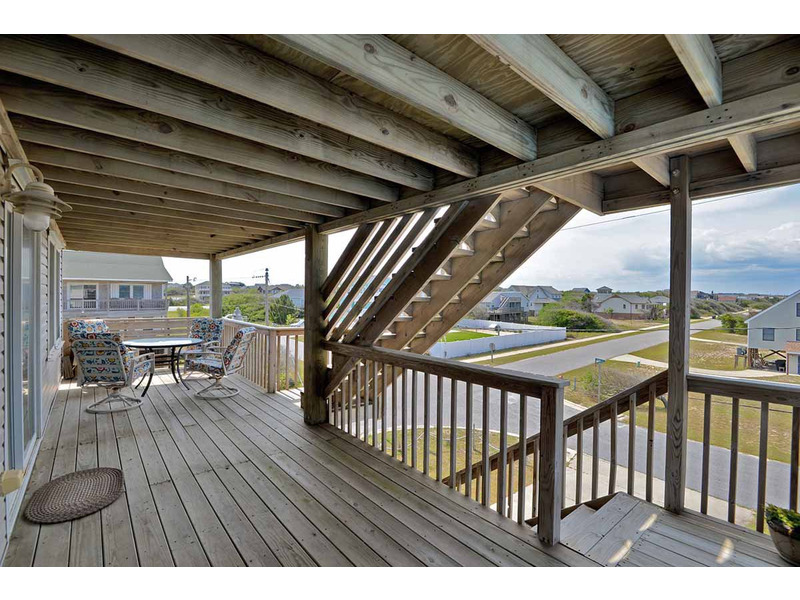 This is a great place to spend your Outer Banks vacation. Ground Level: Parking for 4 Cars, Covered Entry, Game Room w/Pool Table, Half Bath, Laundry Area, Den w/TV, VCR, DVD, Stereo w/CD, Mini-Refrigerator, Queen Sleep Sofa, Beach Cart, Charcoal Grill, & Enclosed Outside Shower. Mid Level: 3 Bedrooms (Master Suite w/Queen, TV, & Full Bath; 2 w/2 Singles & TVs), Shared Full Bath, Den w/TV, VCR, DVD, & Covered Deck w/Porch Swing. 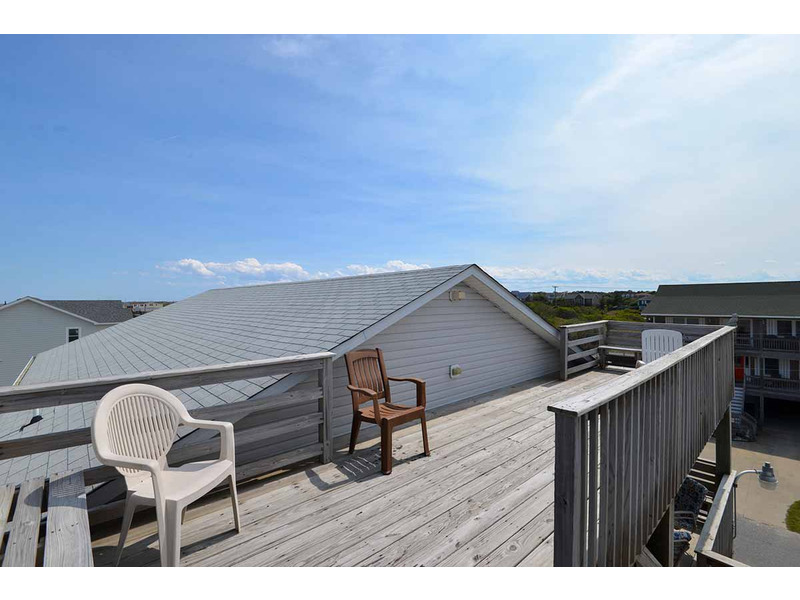 Top Level: Living/Dining/Kitchen Area, Ocean Views, TV, VCR, DVD, Half Bath, Master Suite w/Queen, TV, & Full Bath, Covered Deck, & Steps to Observation Deck w/Built-In Bench & Fabulous Views of the Ocean & Surrounding Area. 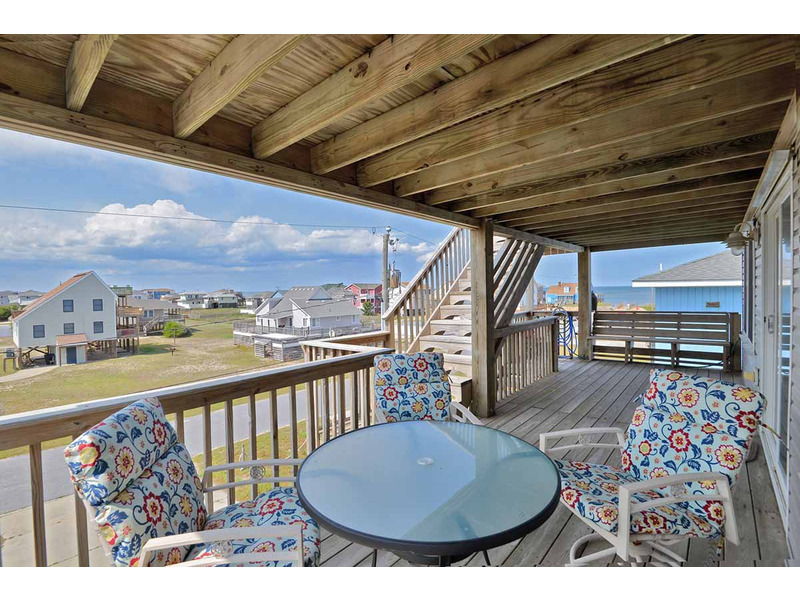 Features include: C/AC & Heat, Washer/Dryer, Dishwasher, Microwave, Phone, DirecTV, 7 TVs, VCRs, DVDs, Stereo w/CD, Wireless Internet, Ceiling Fans, & Deck Furniture. No Pets. This is a Non-Smoking Unit. To send a reservation request to the manager of "Hawk's Nest (#825)", complete the following form. When you click the "Send Request" button an e-mail will be sent to the manager and a copy will be emailed to you, along with details on how to complete your reservation. 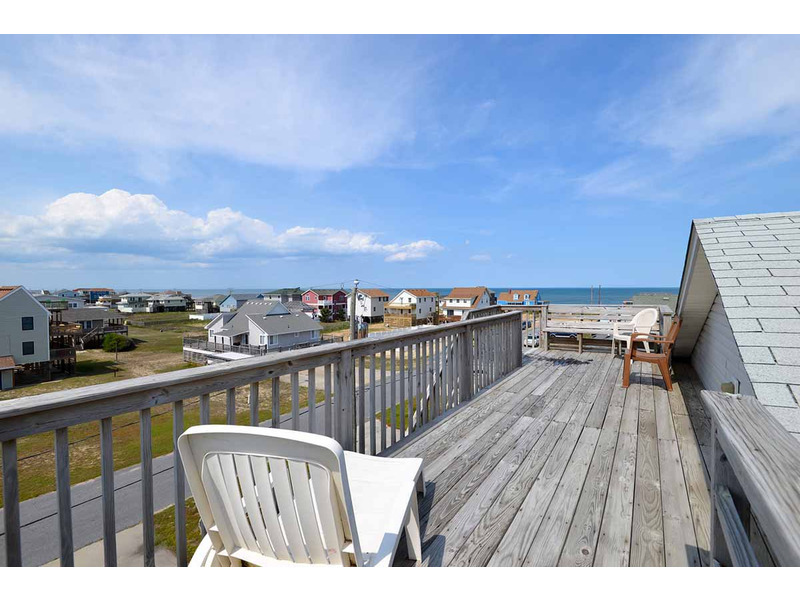 I saw Hawk's Nest (#825) advertised on www.RentABeach.com and I am interested in renting. Please send me additional information and offers from Joe Lamb Jr. & Associates on the information I have provided. Clicking 'Send Request' will immediately forward this information to the manager of Hawk's Nest (#825), which is Joe Lamb Jr. & Associates. An email copy of your request will be sent from support@rentabeach.com to the address you provided above. The email will contain a 'Book Now' link (when available) and the phone number of Joe Lamb Jr. & Associates so that you may contact them immediately. Please add support@rentabeach.com to your address book to ensure that your email program will accept the email.